Christmas cards are a nice way to say Merry Christmas to friends and family. Saving money on the cards and postage is helpful, especially if you have a lot of cards to mail. This is a guide about saving money on Christmas cards. Every year it seems I have less time to spend doing all the traditional holiday things I feel I need to keep up with. In addition, the cost of postage seems to go up annually. For the past few years, I have contemplated this idea. This year, I finally went ahead and put it into practice. I drafted my annual family Christmas newsletter as always, but instead of printing it out, (some years 2 pages long,) and draining my print cartridge dry by adding a photo of my son and dogs, I decided to make it a Christmas e-newsletter. I started it by explaining that I am changing the way I do things starting this year, and in the interest of reducing my carbon footprint, I am sending my Christmas greetings and photos via email. In addition to saving time, money, stress, and the environment, I have freed up the money I would have spent on cards, pretty paper and postage, and donate it to the charity of my choice. What a win-win situation! As a bonus, when sending my letter via email, I can make it as long as I want and include as many photos as I wish at no extra cost. Almost immediately after sending, I received a response from several friends who said they loved the idea, and planned to "steal" it themselves! For the few folks on my list whose email addresses I didn't have, or that don't have computers or email, I still sent them a card with a newsletter, but I can count the number on one hand compared to the practically 80 cards I have sent out some years. Just make sure when you send those newsletters that you request the recipients who do have email addresses and would like to continue to hear from you, to please include it with their card to you this year, so they remain on your list for next year. I hope your readers decide it's an idea they'd like to adopt themselves this year. It's not too late. If you sit down right now and send that email, they'll have it before Christmas. That's more than you can say than if you sent a card. Think of the numerous charitable organizations that will benefit from your common thrifty idea! I have started a list and throughout the year when I come across a charitable organization I would like to donate to, I will add the contact information to my list. By this time next year, I will have an entire list of worthwhile organizations to pick from. Maybe I'll split my donation in half or thirds and send to several! Since becoming disabled, money has been tight. I cut corners when/where I can. Last year I decided that I couldn't send Christmas cards to everyone on my list so here is what I did: Everyone who is on my email list received an email Christmas card which I decorated with "free" clip art from the web and my own Christmas greeting. That whittled my snail mail cards (people who didn't have a computer) down to a manageable number which I then wrote a personal note upon and mailed or gave to in person. By doing this I saved money since I didn't have to buy more Christmas cards or USPS stamps. A lot of people thought it was a good idea and even asked me if they could copy my card. Not only did I help myself, but others were able to save as well. 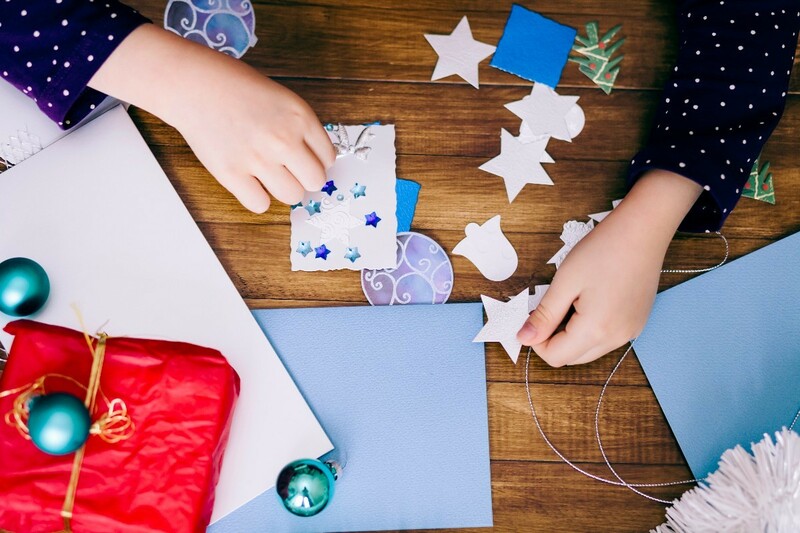 Now that the holidays are drawing to a close and you pack everything up, include unused Christmas cards, wrapping, labels and so on, in with your decorations, so they will be there to use for next year. This is a guide about homemade Christmas cards. Card making is a very popular paper craft. This Christmas try sending beautiful handmade cards to friends and family. They will treasure the sentiment and the very personal touch.